Let me just start by saying - I LOVE THE OLYMPICS!!! Someone commented that they thought I didn't like sports and I had to explain that the Olympics and American Football are two very very different things. I think the Olympics are so special because all the countries are there representing where they are from, they cheer each other on and it's just so patriotic. I've been extra excited about the Olympics this year because, as many of you know, I was born in Brazil and lived there until I was 9 years old. 2. I've decided that if the Brazilians lose a sport in the Olympics they can just go comfort themselves at a Brazilian steakhouse where they will be served endless meat, cheese bread, tropical fruits, and many more other delicious Brazilian foods. Can I be an Olympic loser and go to Brazil to eat please? Have I mentioned to you that when I went back to visit Brazil I gained 10 pounds in 2 weeks? I'm telling you, their food is amazing! 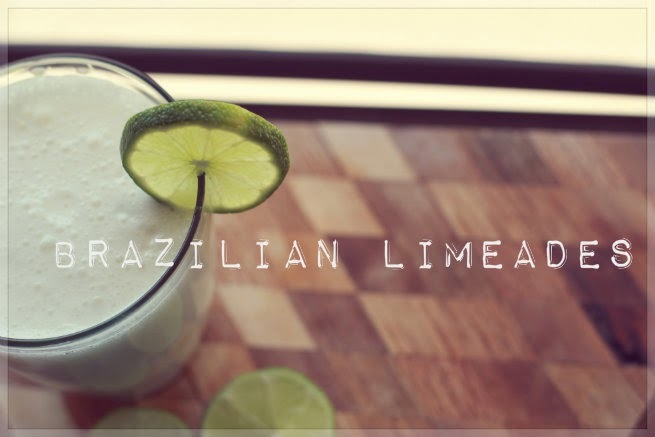 So today I bring to you a super easy Brazilian limeade recipe. 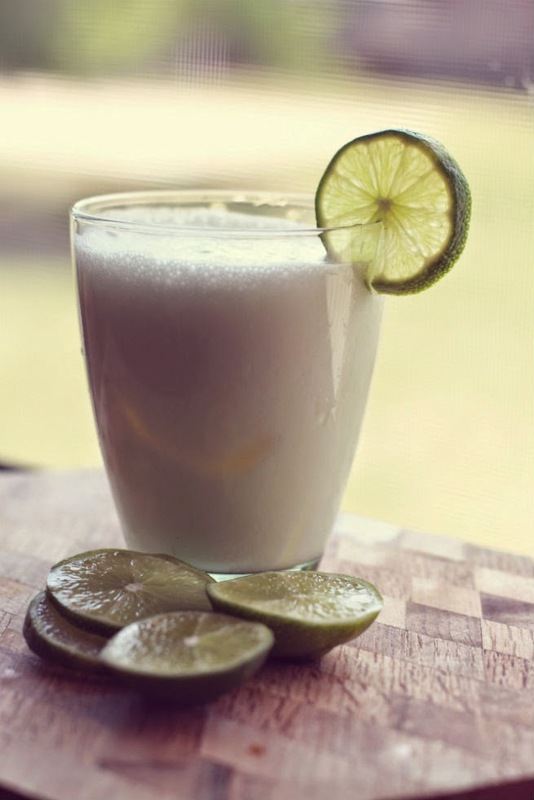 It has sweetened condensed milk and limes and although it sounds weird they go great together. I've shared this on the blog before but it was a few years back so I'm re-sharing this recipe. 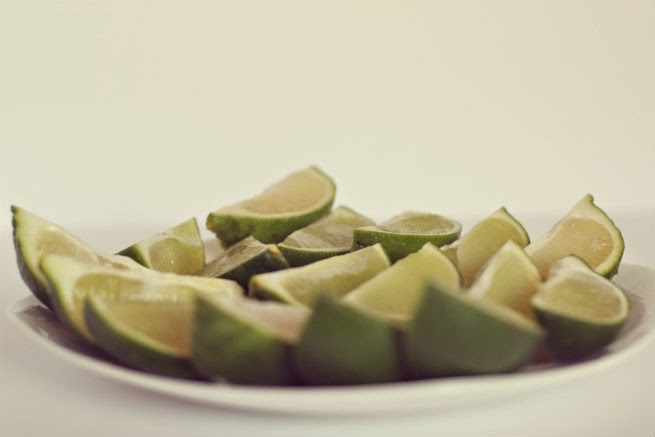 I've also thought about sharing some more Brazilian recipes on the blog. Would anyone be interested? 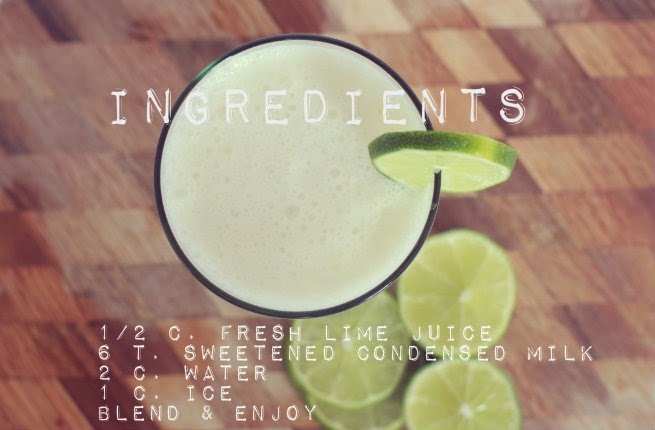 Here is the recipe for the limeades. I'll be drinking some while I cheer on the USA and Brasil, with an 's'. Ooh these look so good! Definitely going to try them out! That's so awesome that you have an extra connection to the Olympics. I'm sure it makes watching even that much more special! Yes, please do share more recipes from Brazil! I'd love that! We tried a Brazilian restaurant and it was amazing. Also I have made that limeade before and it is seriously the best! I would love to try more Brazilian recipes!